The second phase of change will start in 2024 for about 5-6 years. The reason is due to the wrong knowledge of Feng shui that thrived for the last 20 years. Period of 8 is something many got away with this fault, perhaps due to the times of what I call a phenomena of “coincidental feng shui”. Some of their clients and practitioners themselves will likely suffer set backs by then. 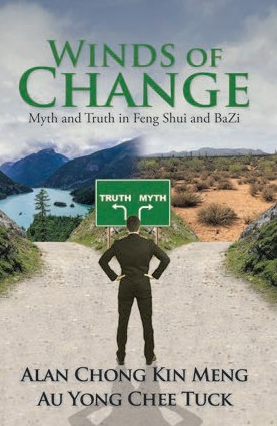 This will follow another round to search the truth in Feng shui among students of Feng Shui and Bazi. In the olden days, Chinese we have a saying, “A Feng shui master can cheat you 8 to 10 years but soon the truth will come out”. Sometimes Feng Shui effects takes a while to manifest its effects and this can go between weeks to perhaps 1-2 years depending on a few factors. This means that people can bluff you for a while but sooner or later the truth will prevail. It is then up to the person to accept the fact or continue to live in denial. Over the years many practitioners have left the industry, some have passed on unexpectedly. The reasons aren’t obvious as they hardly disclose the real reasons. Some perhaps have realized the mistakes and decided to take a bow, while some have done some mistakes to their own house feng shui and attracted the mishaps. The irony is that if being a practitioner and that one could not see things coming, it is truly sad. Hope that they will learn the right thing in the next life. When one is in good luck, you are likely to be able to take the bad effects of the house Feng Shui but when the luck expires, they will not be able to take the bad effects. 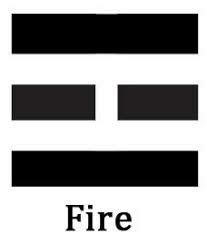 That is why Chinese always say, first is Destiny, second Luck and third only Feng Shui. Some are rich and famous due to having a good Destiny or Luck or both but does not mean they have the right Feng Shui knowledge. The test of real Feng Shui skills is when you have lousy Destiny, poor luck and yet you can progress in life, is a testimony of Real Feng Shui Skills. Feng Shui with the wrong knowledge is dangerous and will cause harm if applied wrongly. Period of Nine is the period of real knowledge because it belongs to the Li Trigram (离), the fire trigram and this is era of knowledge that fake knowledge will undergo correction. My hunch is this is the time when Period 9 sets in, is the time when the people will start to search for the truth again or just give up after suffering Feng Shui set backs.